Spain is the latest country to follow Iceland's example in allowing bankers to be prosecuted as criminals rather than be treated as a protected species. Spain’s top central bankers have been hauled into court and are facing jail sentences after being charged with a lengthy rap sheet of criminal offenses against the people of their country. Spanish authorities allege the central bankers encouraged the Spanish people to buy shares in a new bank they knew was guaranteed to fail – but which they also knew would be bailed out by the government and taxpayers. This scheme made the central bankers a fortune twice over – while leaving the Spanish people out of pocket twice. While central bankers around the world are generally considered to be above the law, Spanish authorities have unraveled this criminal enterprise and are determined to prosecute every banker involved, from the bottom right to the top. 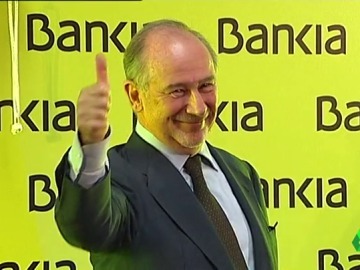 Rodrigo Rato, former head of the International Monetary Fund, during Bankia’s launch. 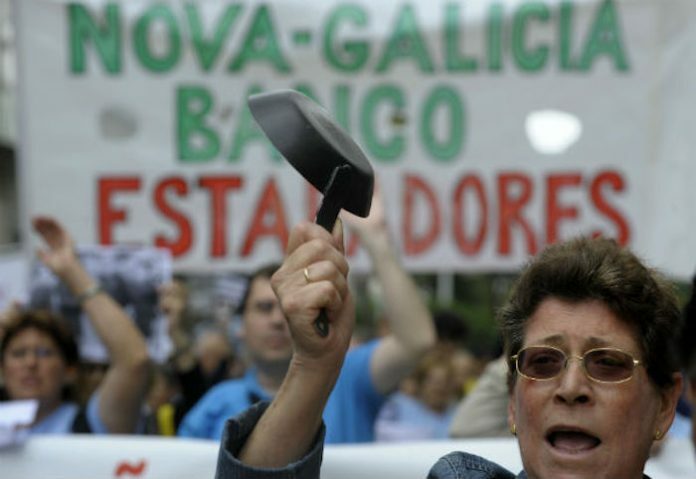 At least 65 members of Bankia’s management team are facing jail time including its former President and ex-chief of the IMF, Rodrigo Rato, who personally faces charges of money laundering, tax fraud, and embezzlement. 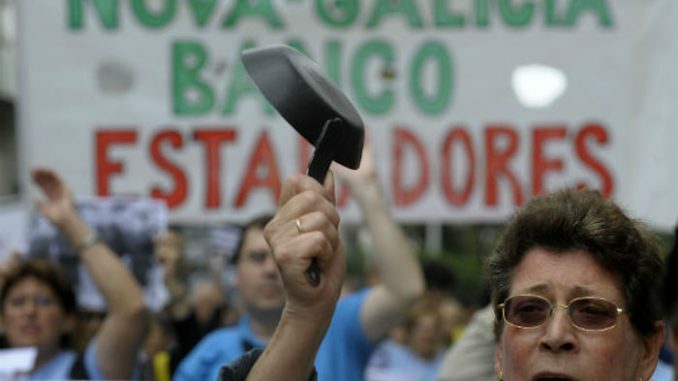 By demanding that bankers be subject to the same laws as the rest of society, Spain is opting for a very different strategy in the wake of the financial crisis to rest of Europe and the US, where banks were fined nominal amounts, and directors and chief executives escaped punishment altogether. WolfStreet report: As part of the epic, multi-year criminal investigation into the doomed IPO of Spain’s frankenbank Bankia – which had been assembled from the festering corpses of seven already defunct saving banks – Spain’s national court called to testify six current and former directors of the Bank of Spain, including its former governor, Miguel Ángel Fernández Ordóñez, and its former deputy governor (and current head of the Bank of International Settlements’ Financial Stability Institute), Fernando Restoy. It also summoned for questioning Julio Segura, the former president of Spain’s financial markets regulator, the CNMV (the Spanish equivalent of the SEC in the US). Now, two years later, some of the most senior central bankers in Spain find themselves in the rare position of having to explain and defend the actions and decisions they took that helped pave the way to the biggest bank bailout in Spanish history. It will be one of the first times that senior members of the global central banking complex have had to face trial for the consequences of their actions.